It’s Friday and time to ride off on another weekend of fun taking in that next bike adventure that maybe includes a fall festival. With mild fall temps hanging in there, here in the upper Midwest, it looks like another perfect weekend to pedal and explore. What better way to continue your fall fun and your #NextBikeAdventure. View all the fun ideas and bike destinations in the latest Minnesota Bike/Hike Guide. Then plan your next outing with family and friends in one of Minnesota’s HaveFunBiking Destinations. 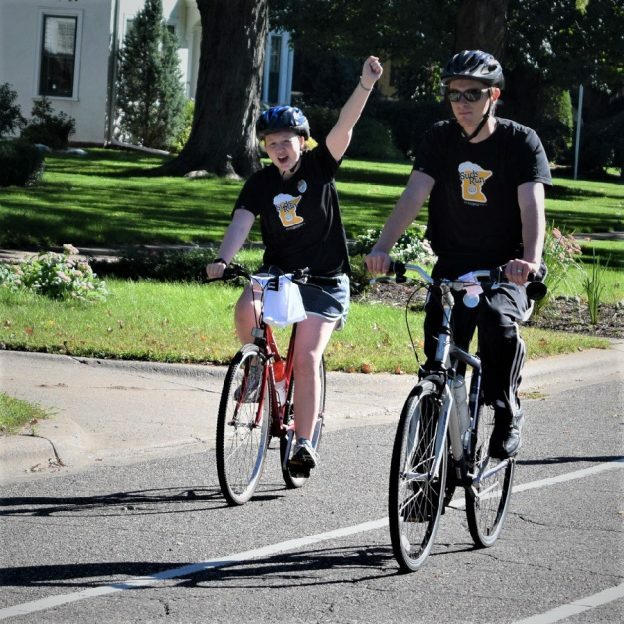 This entry was posted in News and tagged #nextbikeadventure, bike, Bike helmets, bike touring, Biking fun, Fall color bike ride, fun, fun bike picture, Minnesota fall events, road biking, Saint Paul Classic Bike Tour, Suds Run, sun glasses on October 13, 2017 by Russ Lowthian.